Epic battles are what this map was created for. 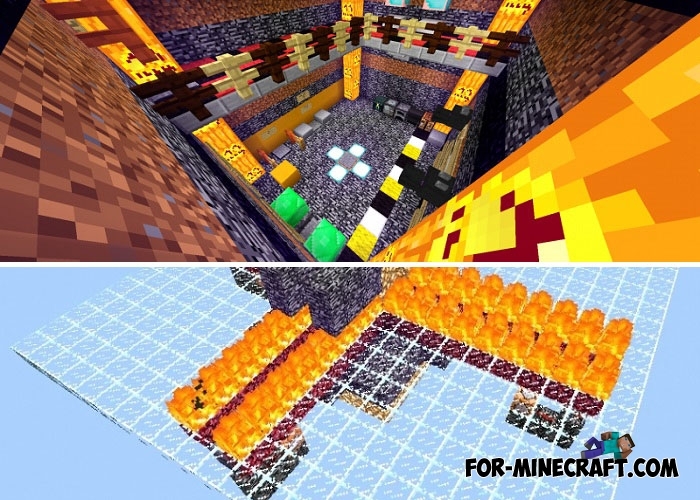 There are two platforms: SkyWars and FightArena, both are designed for both team and PvP battles, the only thing is that more than one player must be on the map. Today, almost all MCBE maps are equipped with mechanisms and this one also has levers for starting, restarting and receiving kits. Read the rules on the spawn if you do not know what to do. 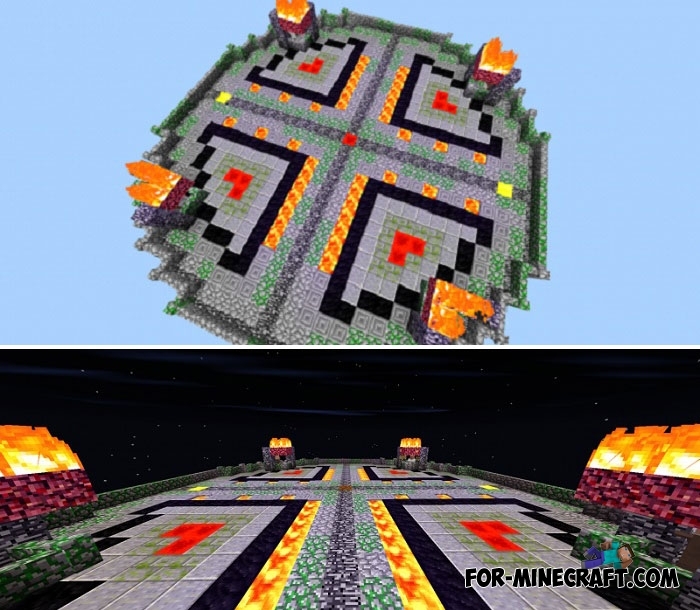 Multi-SkyWars map for Minecraft BE 1.2None of the MCPE map makers did not do so large-scale projects for all players yet. 15 completely different locations..
Halloween Skywars map for Minecraft PE 1.2This map is for a fun company of players who want to fight well. The number of players is almost unlimited..